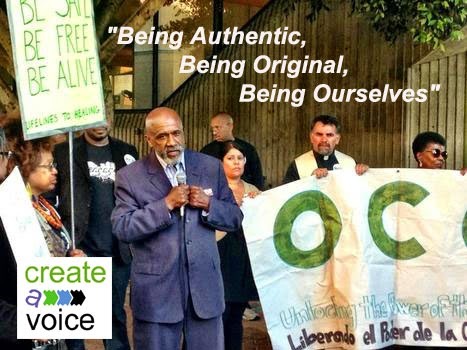 Please (((Listen))) and Share this blog-ver-sa-tion called ~ Narrative of Muslim America™ with San Francisco's Imam Abu Qadir Al Amin This is an original - unscripted, a front porch conversation between brothers. One is seeking wisdom, and the other is sharing his wisdom. Using new media tools to share with a wider audience.You can hear last week's talk, here. Why Narrative of Muslim America? U.S history has documented various Islamic narratives, even before the Trans Atlantic Slave Trade. Today most Muslims in the United States would like to claim "We have the oldest mosque in America, Our organization has been established since..." or my favorite "We were the first to establish it here.."
Regardless of claims Al Islam was first recognized as an Earthly way of life, as stated here "This day have I perfected your religion for you, completed My favour upon you, and have chosen for you Islam as your religion." Al Ma'idah 5:3 In the Holy Qu'ran an Islamic text, Allah (the proper Arabic word for God) represents Himself as the One Who solely established this Earthly way of life. Since the 7th century, this way of life (deen) has went global, enhancing those who have accepted its way of life. People who have embedded valuable contributions into many societies around the world. A way of life that continues to shape men and women around the world. No doubt, its historic movements have birthed an inspirational set of people. Based on the above Qu'ranic statement, which established an identity for many people throughout time. Today, minds are wanting to know Who are Muslims, and What is their history in the Western World; which brings us to this blog-ver-sa-tion ~ Narrative of Muslim America™ . Create-A-Voice will feature this series about Muslim America. The objective is to ~ capture, own, and institutionalize our powerful narrative by asking empowering personalities for their thoughts. I will open my network of various Muslims and Leaders who are leading extraordinary lives. People of different backgrounds, and occupations, who are all working to make a global difference. This Narrative, are simple conversations, and my intention is to spark the a media renaissance that establish our most powerful Muslim narratives ~ respectively. West West and #WhoopWoop ~ Thank You!